Grade Two (junior gun dog) is the second stage in the gundog training journey. The links below lead to training exercises and information to help you reach the Grade Two level of competence. Before you start Grade Two training, you need to make sure that your dog has already reached Grade One standard in his category. That way, you’ll be building his training on solid foundations. Much of this information and more, is also in my junior retriever training guide Passing Grade Two, available from the Gundog Club bookshop. Check out this link for more information about graded training: Graded Training for Gundogs And when you are ready to take your Grade Two test, contact the Gundog Club on 01428 717529. Good luck with your training. Hi Pippa, I have a 2yr old gun dog (very much in training still though) I am a member of urc gundogs and have been gun dog training with him properly for about a year, he knows most of the basics to a reasonable standard such as hand signals, stop whistle etc.. however I now need to tighten these things up and improve his distance in order to confidently compete and pick up with him which I intend to try (all being well) next year. I was wondering what grade he would be at as he is classed as a novice dog in the gun dog group I am involved in. Also I would like to know what the benefits of joining the gun dog club are and whether you would recommend me joining both that and my current club? It depends what you want to achieve Mabel. 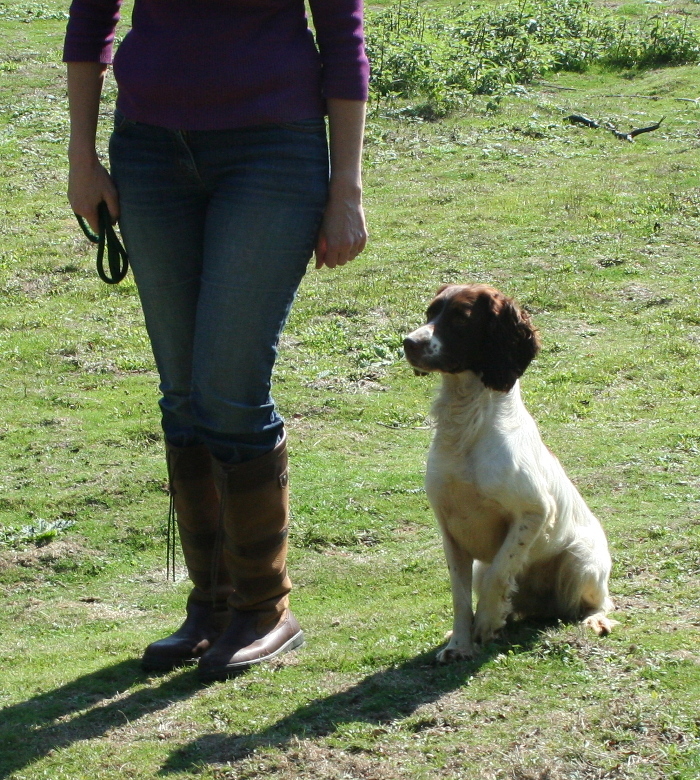 You can get the grade handbooks directly from the Gundog Club and look at the requirements of each test. Have a look at grades three, four and five, and see if you think your dog meets the standard set down for the test. If you like the idea of testing yourself and your dog against a national standard, you would probably enjoy the grades. I have an 11 month old Labrador Retriever. I am just about to begin with the training in your book Total Recall. Would Grade One Training be the next step for Brodie in his training or is much of this covered in Total Recall? I have a 8mth old lab Archie, I have been training him from your book Total Recall and he is doing really good, my question is, should I let him jump in and out of the boot of my Kuga? I lift him in and out now because I don’t want to damage his hips. Many thanks Alison. P.S Great book. Hi Alison, many experts recommend no jumping till a year old. Plenty of others will disagree. You might want to err on the side of caution. Whether you are able to carry on that long I guess will depend on how heavy he is!